The approximate monthly average cost of care for Brookdale Grayson View is about $6,024. This is greater than the Selinsgrove average cost of $4,935. The average cost for the State of Pennsylvania is about $4,500, versus $4,215 nationally. Located in Selinsgrove, Pennsylvania, Brookdale Grayson View provides senior care in a comfortable setting. The zip code of 17870 which contains this facility has an average population density, with about 14,564 residents. It is a mostly middle income area, with a median per-family income of $44,019. The facility is located near various local amenities, such as medical facilities, shopping, and churches. There are several doctors offices within a short drive. There are 5 churches within 4 miles, including St Pius X Catholic Church, Shamokin Dam Alliance Chr, All Saints Episcopal Church, and Susquehanna Valley Chr-Christ. There are also 1 drugstores within 1 mile of the facility. Brookdale Grayson View offers the following levels of care: nursing home care, independent living, Alzheimer's care, and assisted living. The facility is a great alternative for residents who can't live alone and require a higher level of assistance and medical care. 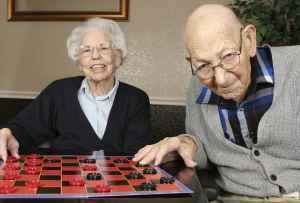 Also, they can provide for individuals who just desire to live around other people their age in a fun and social environment but who are otherwise in good health and independent. 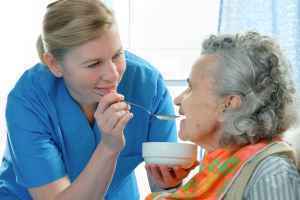 In addition, they can service residents who are at diffferent stages of Alzheimer's and who need close attention and care for their own security. Finally, they can assist individuals who are able to move around on their own but may require support with completing day-to-day activities like personal hygiene, preparing meals, and house work. This residence offers various fun and interactive activities that include arts and crafts , religious and spiritual activities, off-site field trips, health and wellness programs, and bingo. Additionally, they feature several living options including efficiency apartments and one bedroom apartments. They also feature a few different health services like wound care, nurses on site, general assistance with personal care, and help with medication.